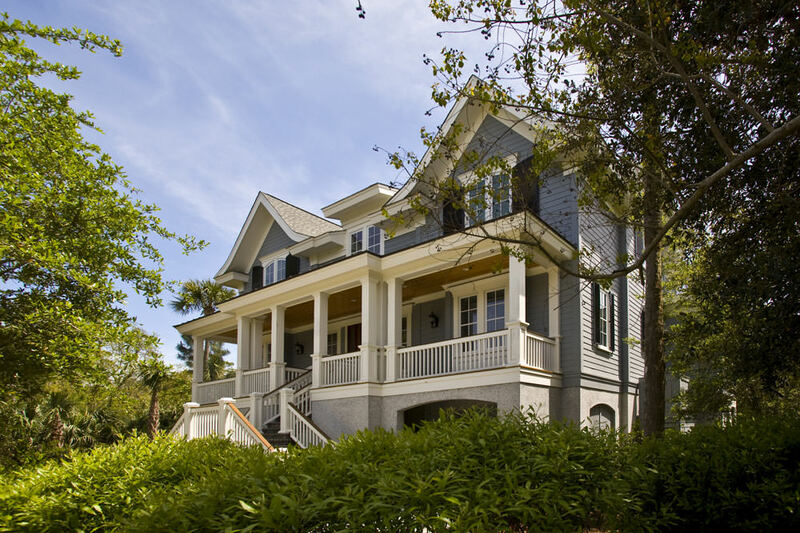 This raised, two-story home on Kiawah Island is located on a secluded lot that backs up to one of the many lakes found in the Kiawah Island Golf Resort community. 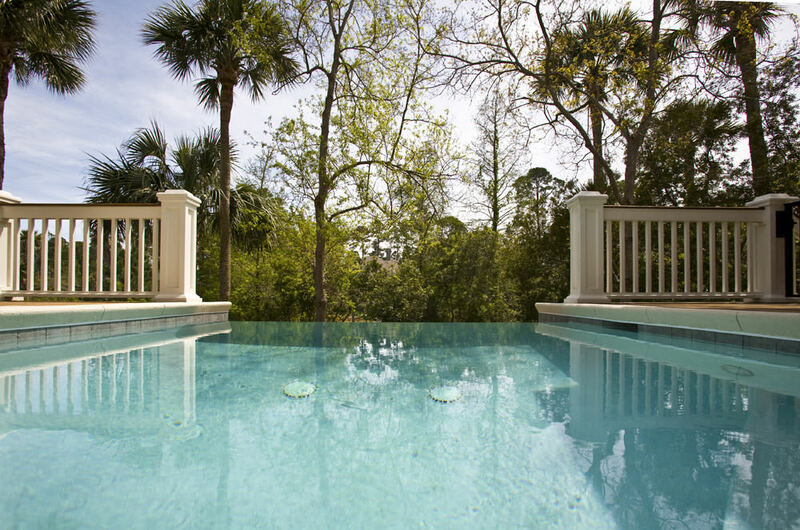 The deep back porch boasts an endless edge pool overlooking the adjacent water. 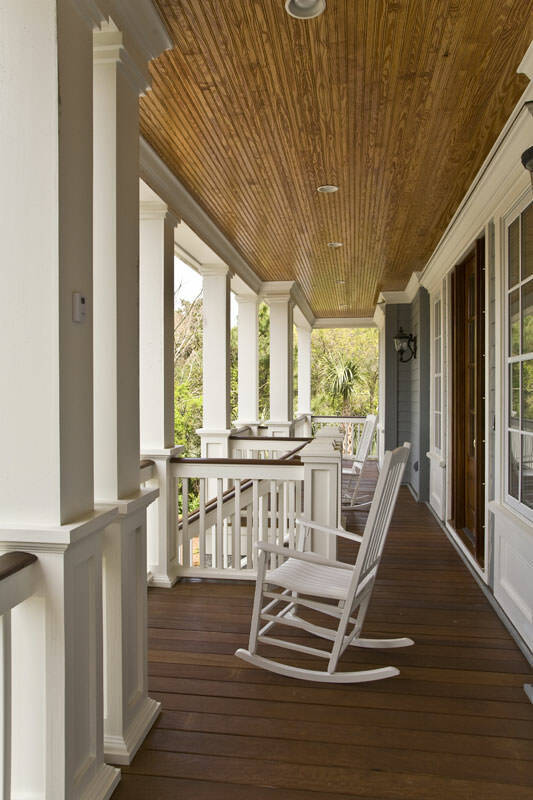 The large, inviting front porch ushers guests into the home's grand foyer which features a sweeping staircase and vaulted ceilings. This home also features duel master suites, one on each floor.